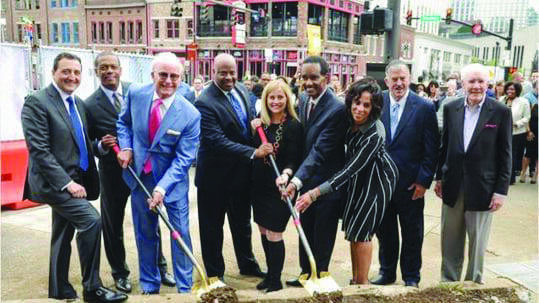 NASHVILLE, TN — Significant progress has been made in the production of the National Museum of African-American Music (NMAAM) in Nashville. The museum, which will be part of the new Fifth + Broadway complex set to open in 2019, held a groundbreaking ceremony to commemorate the progress. Henry Hicks, president and CEO of the NMAAM, said that each of the galleries are named after a song, such as “Oh Happy Day,” “Thriller,” “Started From the Bottom” and more, which reflect a certain era of music ranging from religious to 80s technology. They are also in the process of collecting artifacts from icons like Duke Ellington and Ella Fitzgerald. The museum has made significant advancements over the past several months. The galleries are now designed down to the size of the picture and the case an artifact will be showcased in. They also have specific numbers on how much space the museum will hold. In addition to the artifacts, the museum also serves as an important educational tool. Hicks said that they’ve reached more than 10,000 MNPS students over the last year, educating students on the history of music and tying in subjects of math, science and English composition. “I think that what they see and what they learn is that they are a part of the story, that they are a part of American history and American music and that definition of that is so big and so broad that they’re right there, that they see themselves and they see their own experience,” Hicks said. The museum will be a part of a structure on the corner of Fifth Avenue and Broadway that also includes retail and office space and an apartment complex. Hicks estimates the museum will bring in 125 new jobs and $12 million annually to the local economy. 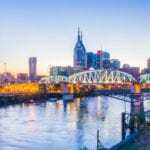 He also sees it as a natural fit alongside the Country Music Hall of Fame, Songwriters Hall of Fame and Schermerhorn Symphony Center. Mayor Megan Barry called the venue a “world class museum for African American music.” It will have entrances on both sides of Broadway. “It’s going to be beautiful, it’s going to be visible and it’s going to tell a powerful story that’s going to span hundreds of years,” Barry said.